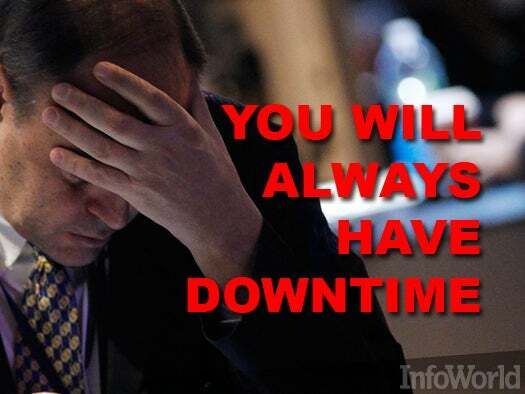 In a perfect world, your network would suffer no downtime and be locked down tight. 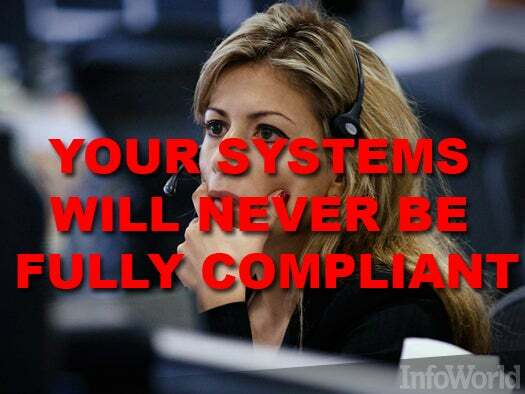 You'd be in perfect compliance with all government regulations, and your users would all be self-supporting. The cloud would take care of nearly all your infrastructure needs, and there wouldn't be a single device accessing the network you didn't first approve of and control. Also: You'd finally get the respect and admiration you truly deserve. Good luck with all that. The gap between your dreams and cold, hard reality widens every day. That doesn't mean you should give up, but it does mean you need to get real about what you can change and what you must accept. 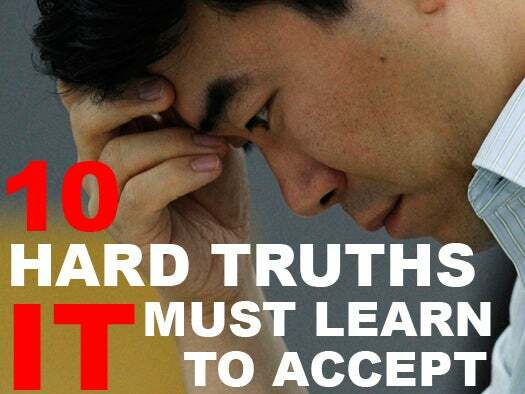 Here are 10 facts IT must learn to live with. More workplaces these days resemble a geeky party that's BYOD (bring your own device). The problem? Many IT departments never got an invitation or failed to RSVP. "Users will simply go around IT and use personal tech for business purposes," says Nathan Clevenger, chief software architect at ITR Mobility. "That is a much more dangerous situation from a security standpoint than supporting the consumer devices in the first place." IT needs to steer a course between blocking consumer tech and allowing unfettered access to the network from any device, notes Raffi Tchakmakjian, VP of product management at Trellia. 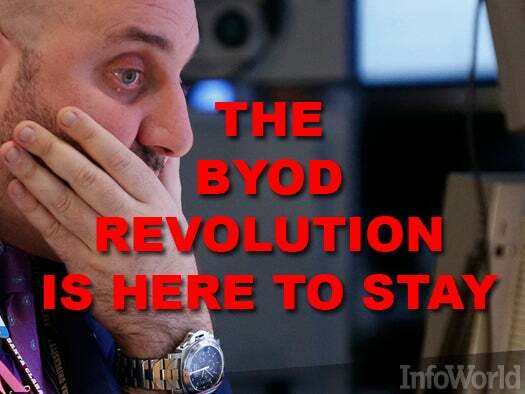 "BYOD is a scenario IT departments are learning to live with, but they struggle to manage them from a security, cost, and operations perspective," he says. Business users with no tech acumen can spin up a third-party business cloud service with a credit card and a click of a button. IT has lost control over IT. That's not necessarily a bad thing. Cloud and mobile apps can give frustrated business users access to tech resources without putting additional burden on IT. Your job is no longer to provide top-down solutions; it's to enable business users to make the right decisions, says Scott Goldman, CEO of TextPower. "Instead of struggling to regain control, tech departments should strive for something more valuable: influence," he says. 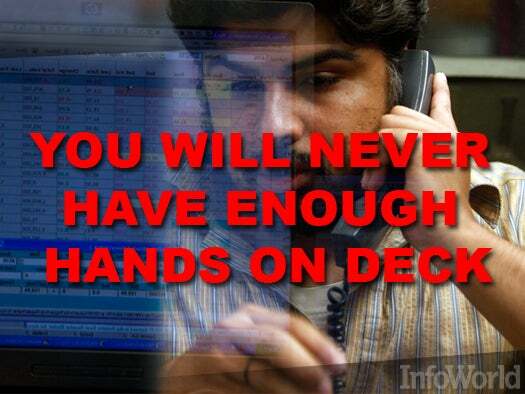 "The days of the all-powerful IT department dictating methods and machines is gone. 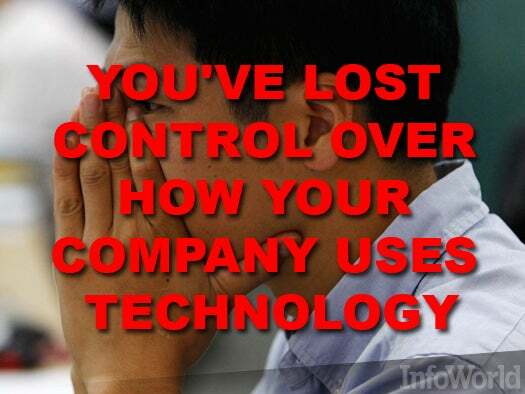 The sooner they realize it, the faster they'll actually regain some level of control." In a perfect world, all data centers would be built around highly redundant, dual-bus architectures where maximum load on either side never exceeds 50 percent, says Peter Panfil, a VP at Liebert AC Power. They'd be able to handle peak loads even when critical systems fail and others are down for maintenance, with a separate recovery facility to come online in case of regional disaster. In the real world, 100 percent uptime is possible only if you're willing to pay for it, and most companies aren't, says Panfil. That forces data center managers into a game of "IT chicken," hoping outages don't occur when systems are beyond 50 percent capacity. Like uptime, 100 percent compliance is a lofty goal that's more theoretical than practical. In many cases, focusing too much on compliance can hurt you in other ways. Organizations in heavily regulated fields like health or finance probably aren't in full compliance because the rules change often and can be interpreted various ways. Another danger area is falling into the compliance trap, where organizations expend too many resources trying to stay in sync with regulations while ignoring other, more vital parts of their operations, says Mike Meikle, CEO of the Hawkthorne Group. "Organizations that strive for compliance with regulations often fall down in other areas," he says. "Being compliant with regulations doesn't necessarily mean you're doing what you need to do with your business." Clouds are on the IT horizon. But reliability, security, and data loss will continue to cause headaches for IT departments -- they'll just have less control. The cloud also introduces a new problem: how to measure IT spend, especially as business users spin up cloud services without IT supervision. "For the first time, business users have a choice between what services IT is offering and what users can requisition on their own," says Chris Pick, CMO of Apptio. 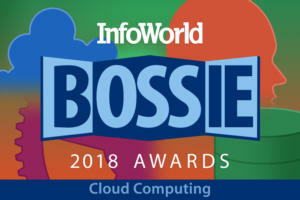 "But until the CIO can get a firm grasp on what it costs to deliver IT, he or she won't be able extend meaningful choice back to business users. This will only serve to supply more oxygen to the fire of shadow IT." IT departments often want a fairer shake when it comes to outsourcing and head count reductions, but they're not likely to get it, says Meikle. The solution to IT manpower problems, says Meikle, is to take advantage of third-party outsourcers and integrate with them as much as possible. The bodies are still available; they're just not under your own roof anymore. "IT pros need to understand they work for themselves first, the organization second," he says. "They need to continue developing their network and contacts, marketing themselves, and developing a personal brand even when they are employed." 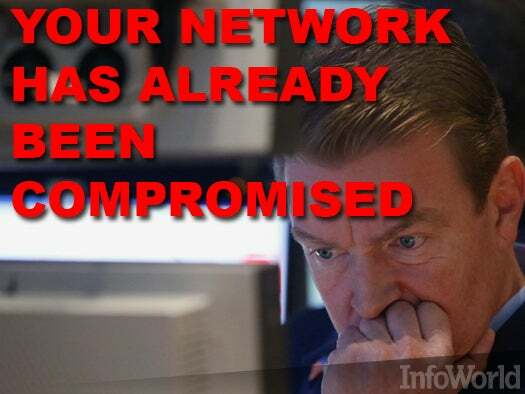 Everybody wants their networks to be easy to manage and hard to breach. What they usually settle for are racks of security appliances that are hard to manage and easily compromised, says Joe Forjette, senior project manager at Crossbeam. A smarter approach is to assume your network has already been compromised and design security around that, says Wade Williamson, senior threat analyst at Palo Alto Networks. "Modern malware has become so pervasive and so adept at hiding within our networks that it is increasingly common for enterprises to assume they have already been breached," he says. Instead of slapping yet another layer of protection, security pros can spend more time looking for where the nasties may be lurking, such as inside an encrypted social network. Employees are using social networks at work, whether or not you allow them to. The problem? 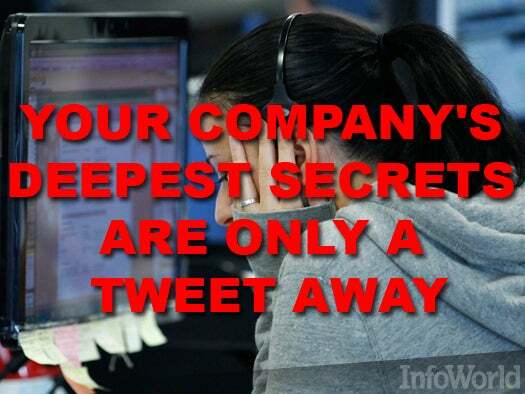 Malware infections distributed via social networks and sensitive corporate data leaking online. "The behavior of people using social media is like their behavior using email 10 years ago," says Rene Bonvanie, VP of worldwide marketing for Palo Alto Networks. "With email, we've learned to never click on anything. But inside social media, people click on every tiny URL because they trust the sender. That's why botnets we successfully rebuffed are coming back." "Educate, re-educate, and educate again," says Sarah Carter, VP of marketing for Actiance. "Put technology-coaching solutions in place, where you can remind users of risks and your company policy about visiting sites not relevant to business." 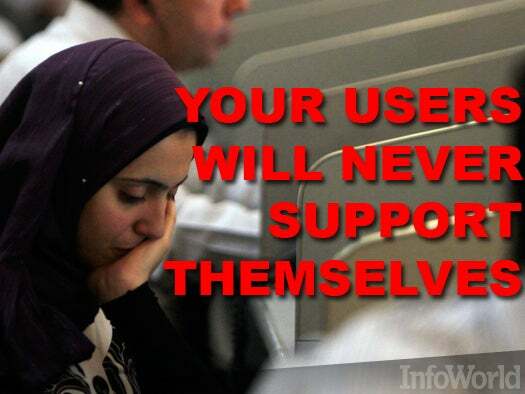 It's the IT dream: Getting needy users off their backs. But despite knowledge bases and automated support, the notion of ditching help desks is the stuff of science fiction, says Nathan McNeill, chief strategy officer for Bomgar. "IT can deflect a big chunk of common issues -- like password resets -- with self-service, but it will always be more cost-effective to have humans handle the one-off and more complex issues," he says. "Many organizations build a database of questions and leverage workflows to drive end users to an online answer," says Chris Stephenson, co-founder of Arryve. "The investment in self-help support would be much better replaced with remote assistance where the support staff can gain access to the user's computer immediately and solve the problem directly." 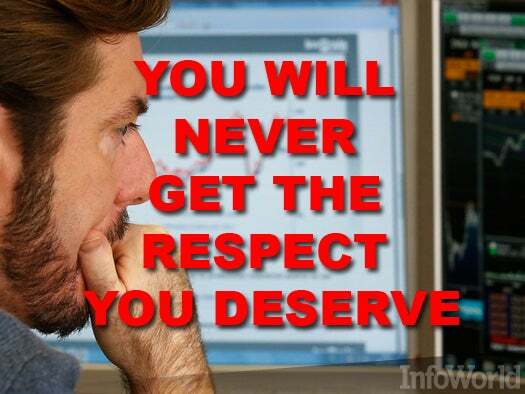 No matter how hard you work or how vital you are, you won’t get a lot of respect outside your own ranks. IT is perceived either as Santa Claus (bringing cool toys for all the business girls and boys), Dr. No (only interested in keeping users away from resources they need to do their jobs), or the NSA (monitoring their every Internet move for suspicious activity), says Steve Lowe, founder and CEO of Innovator. "The main thing IT leaders can do to counter these misconceptions is to focus on providing extraordinary value to the company in any way they can," says Lowe. "Find a place where a little technology will have a huge payoff, and just do it. Success is very difficult to argue with."